Bilingual tutor teaching English and Portuguese online with video-conferencing software and providing translation services. *Private lessons - flexibility - for people who need their own schedule and wish to work at their own pace. *Semi-private lessons - great savings and some flexibility - for people who find someone to share their lessons. *Varied materials: visuals, magazines, the internet, books, worksheets, etc. *Dynamic, informal lessons, with lots of student participation. *Translations and essay checking: Portuguese/English, English/Portuguese and French/Portuguese. Taking classes at a Language School is the most common way to learn a foreign language. However, you may have difficulty in getting to those classes or their schedule may not fit in with yours or the lessons may not be suited to your particular needs. With my online lessons you will learn with a native speaker and have one-to-one lessons tailored to your needs, wherever you are and at times convenient to you. 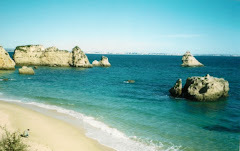 I teach British English and European Portuguese online, using free video-conferencing software, such as Skype. Interested? Read more and contact me. I look forward to your comments. Please note that they won't become visible immediately because they are all moderated. English is the most widely spoken language in the world. Whether you need to improve your English to get better results at school or university, to succeed in your job or just to get by while visiting an English-speaking country as a tourist, I can help you reach the level of fluency you require. 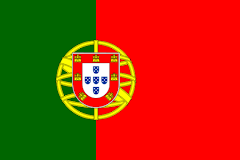 European Portuguese is a language with a long and rich history. 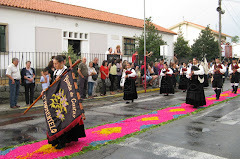 You may wish to learn Portuguese to help with your integration into your local community if you are an expat in Portugal, or you may need to improve your fluency to get better results at school or at work and learn more about the culture of the country. Whatever your needs, I can help you. ©Mara Paz, unless expressly stated otherwise. Photos of London ©Luís Kosta. Simple theme. Powered by Blogger.